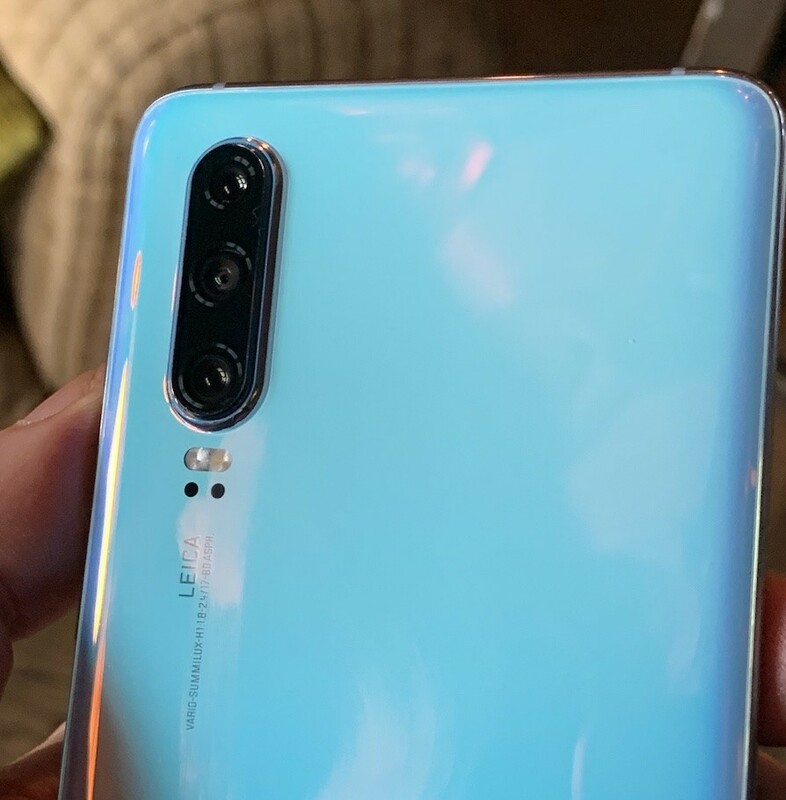 Huawei continues to provide stiff competition to Apple and Samsung with P30, its prime 2019 flagship range launched today. But despite the hype, Huawei offers only incremental improvements over 2018's fine models – just as the latest iPhone, Galaxy and Pixel phones bring only marginal improvements over their predecessors. To be frank, with the consumer upgrade cycle extending into three years or more, only the keenest or wealthiest need to or want to dispense with their 2018 flagships annually. The P30 and P30 Pro look and feel uncannily similar to the P20 and its ilk, which are now heavily discounted. In pre-briefings Huawei promised "things nobody else can do or has thought of doing" and that it had gone "back to the drawing board". But these are claims that even an hour spent with the device failed to confirm. It's better that last year's, but not a quantum leap like Nokia's 2012 PureView. 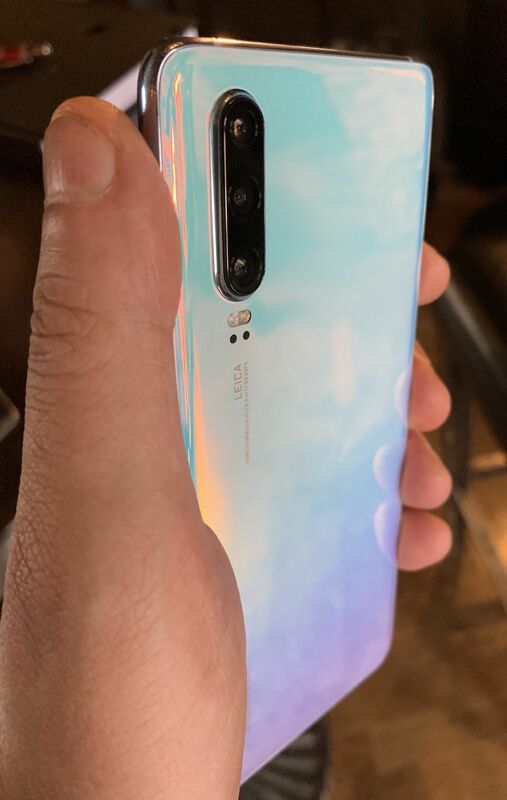 In short, Huawei has continued to improve the imaging function on both models, added Qi wireless charging and an in-display fingerprint sensor. The display now resonates with the glass acting as the in-call speaker. It's similar to the Redux technology quietly acquired by Google, which allowed anything to become a speaker. Magnets vibrate the screen. The advantage is more privacy for the user during calls. Huawei misleadingly calls this "electro magnetic levitation" – while I'm very much looking forward to the day when my smartphone allows me to fly, sadly, today isn't that day. The P30's claim to fame here is the 5x lossless zoom on images, or up to 10x hybrid zoom. 5x is only really available on some boutique smartphone models, although any cheap compact camera can achieve this comfortably for a fraction of the price (and you won't need to upgrade it). It does mean the imaging unit protrudes slightly. The striking low-light performance is further improved, thanks to the AI stabilisation, flooding a near-dark scene with light, without needing to wait a few seconds. Obviously this is a niche, and the flooding isn't always what the photographer wants: Huawei's night scenes invariably overexpose the image, robbing it of atmosphere and introducing colour distortion. Huawei and Leica have taken an unusual technical approach, in capturing RYB (red yellow blue) images then converting them to RGB (red green blue) for storage and display formats. This required a rewrite of all of Huawei's imaging algorithms, the company said, but then it does design its own silicon. This allowed it to capture more light. The regular P30 features a 40MP sensor with f/1.8 aperture, a 16MP ultra wide angle lens with f/2.2, and an 8MP 3x optical zoom. The Pro model features a superior 27mm f/1.6 40MP sensor, a 20MP ultra wide angle lense, and adds a fourth "lens", a time-of-flight sensor allowing greater depth information to be captured. One interesting gimmick is capturing two video streams at once at different zoom levels then mixing them later. 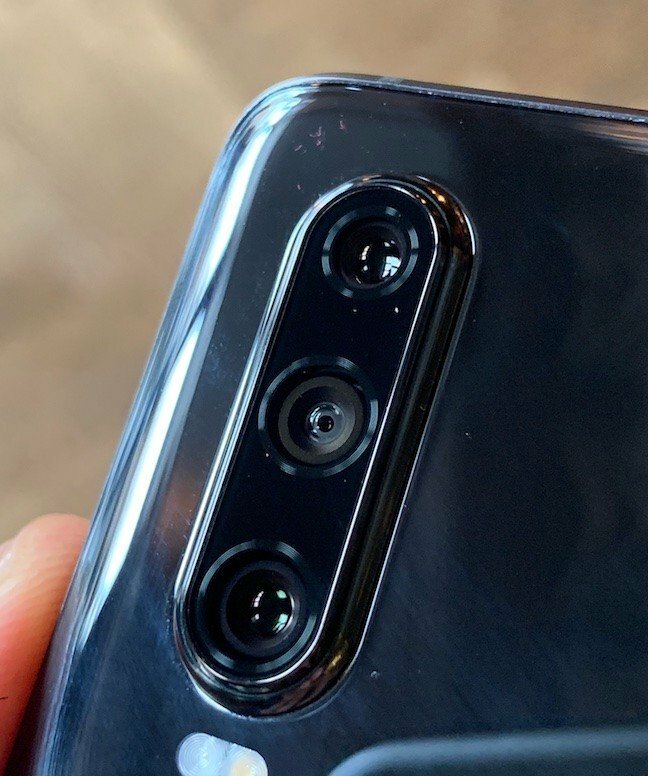 The design language is largely last year's: only the removal of the P20's small physical front fingerprint sensors distinguishes the new models. 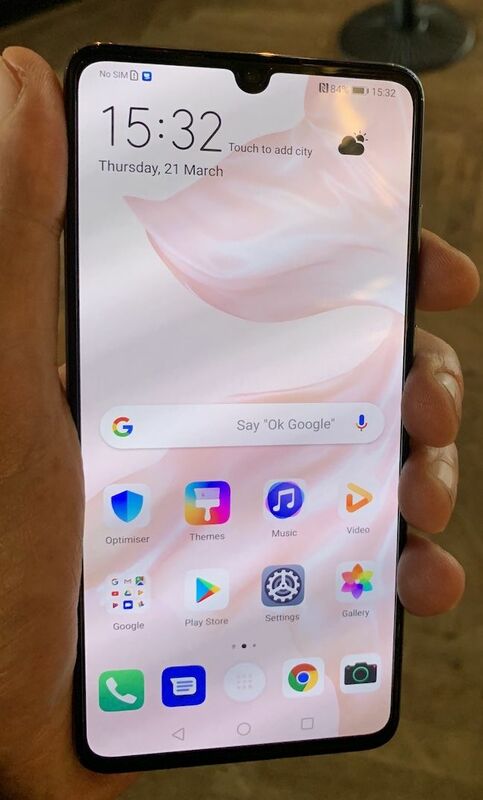 The P30 Pro features a 6.47-inch diagonal 1080x2340 OLED (19.5:9) and the regular a 6.1-inch OLED with the same resolution. The regular features a respectable 3,650mAh battery, more than similarly sized rivals, and you get 4,200mAh in the Pro. 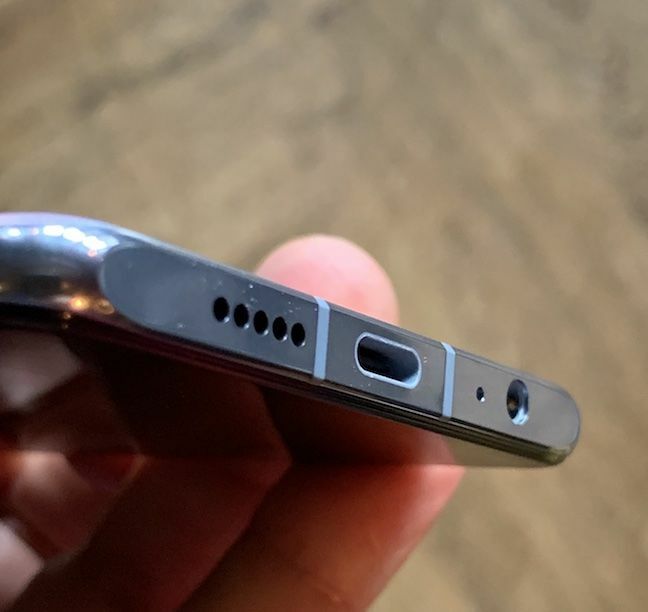 (The Mate 20 Pro's reverse wireless charging is incorporated.) Huawei's excellent proprietary charging claims 0 to 70 per cent in 30 minutes for the P30, and 15W wireless charging. Both main P30 models, then, bear the fruit of huge investment in imaging, but anyone looking for corresponding improvements in software will be dismayed to see no progress with the functional EMUI UX, given the strides Samsung and OnePlus have made in polishing their software experience. Huawei's over-aggressive power management is a consistent bugbear for users – we'll see from our review unit whether that has been addressed this year.